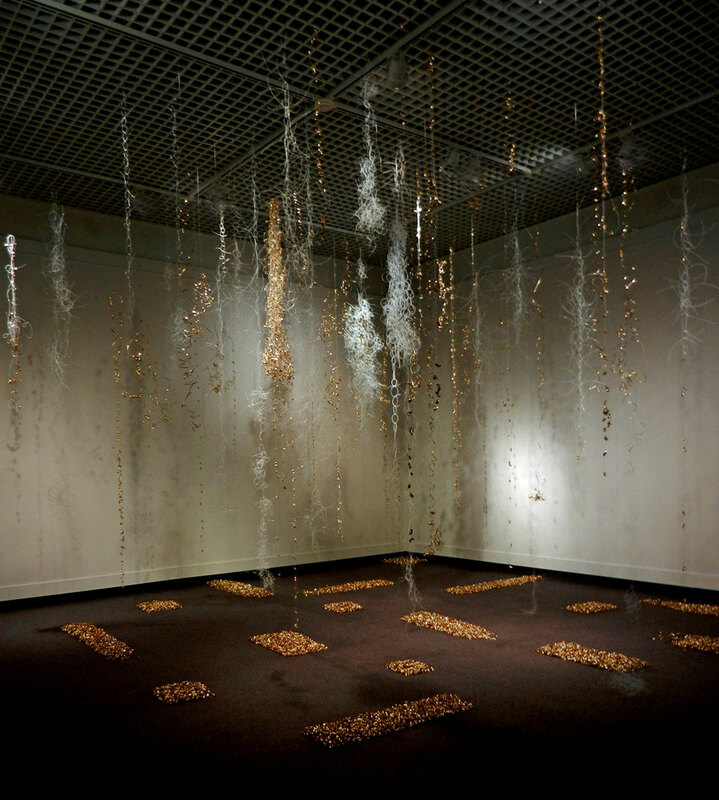 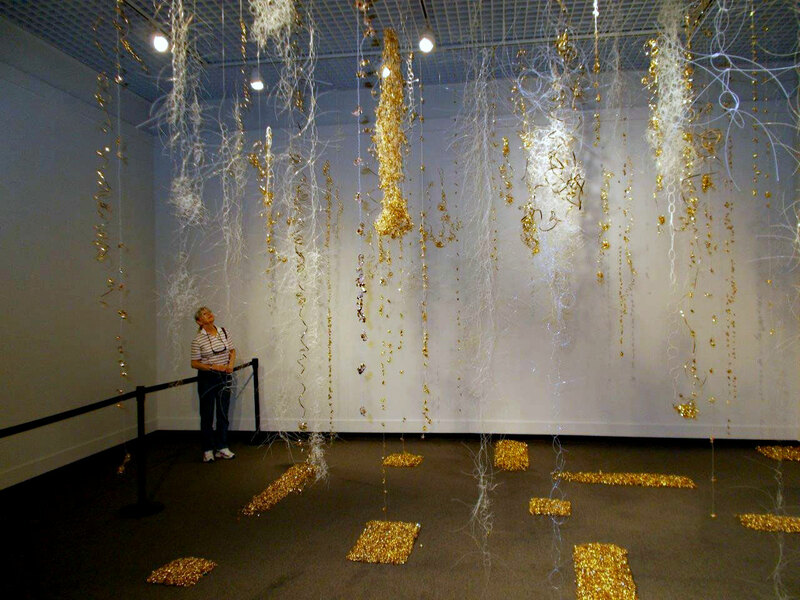 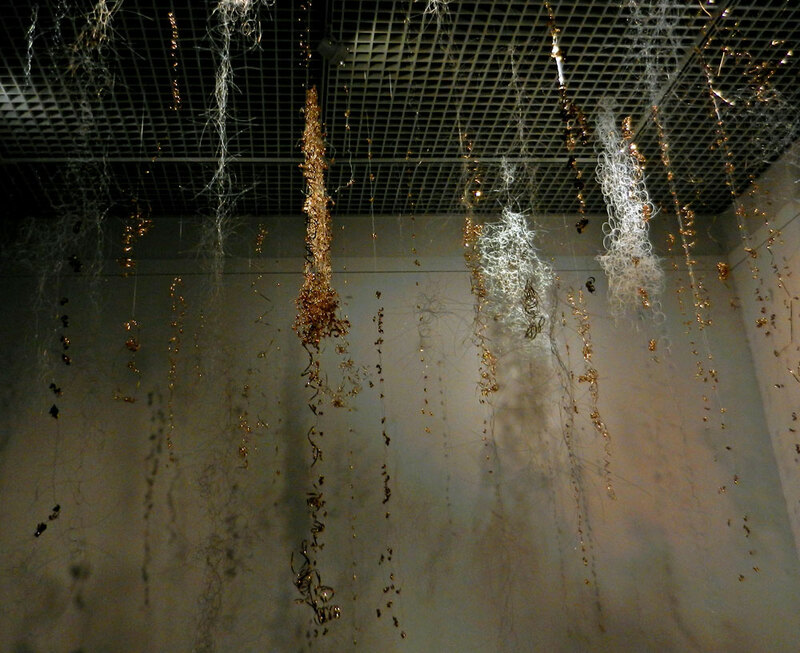 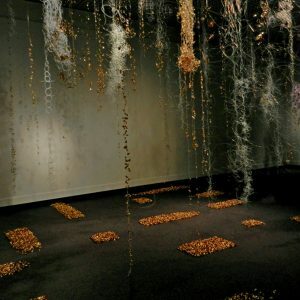 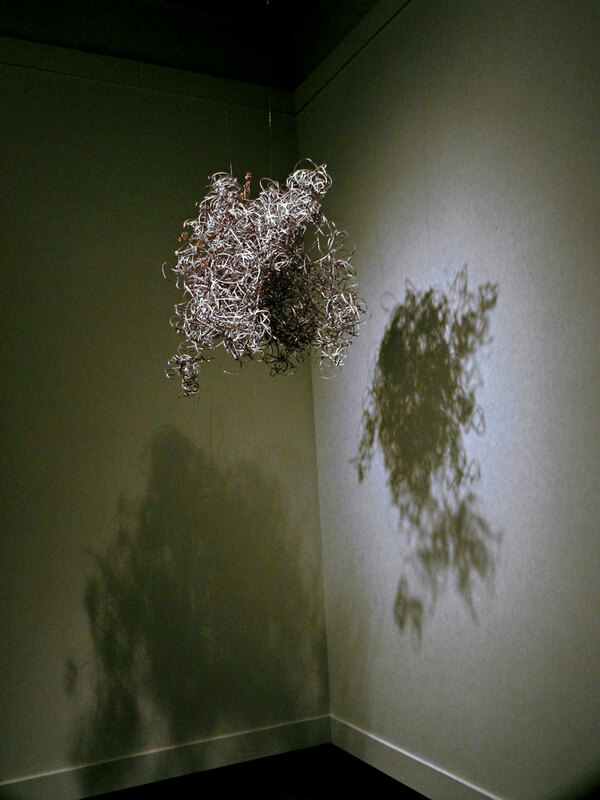 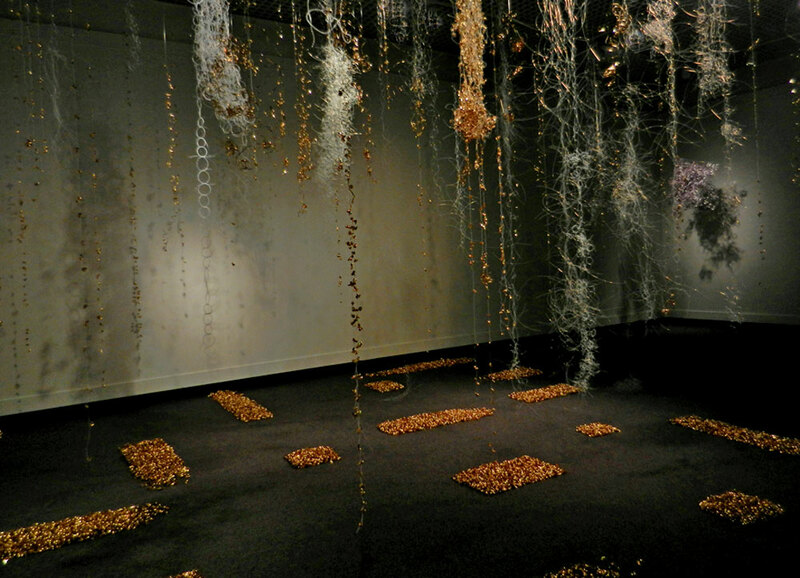 This site specific installation was shown at the Museum of Arts and Sciences in Macon, Georgia during winter, 2014. 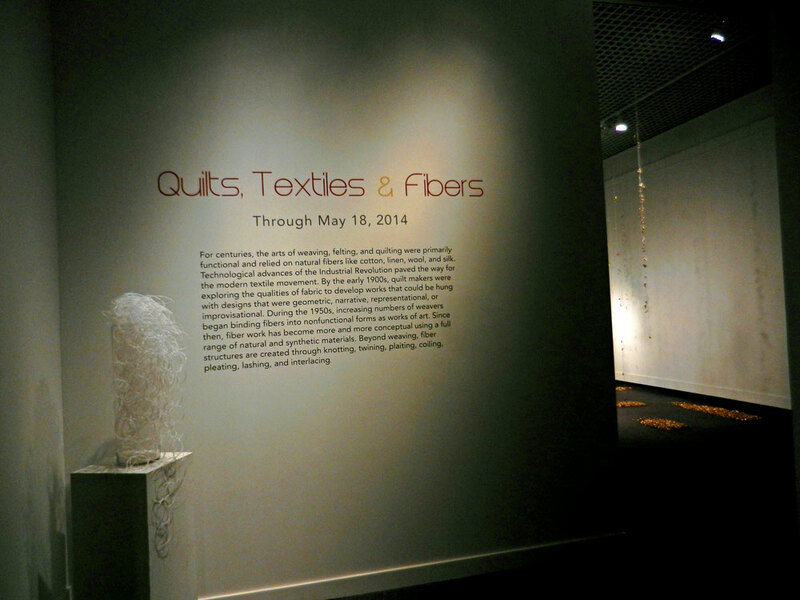 The museum partnered with YKK USA, located in Macon. 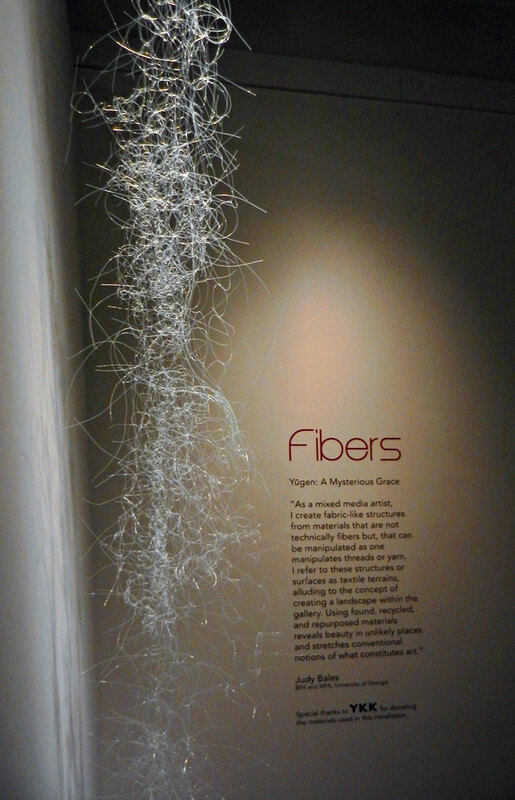 YKK generously supplied the artist with surplus materials from their production. 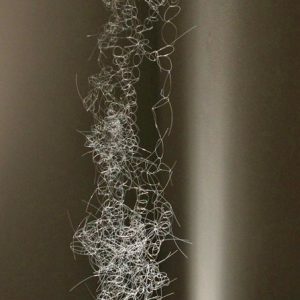 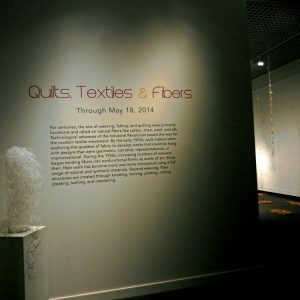 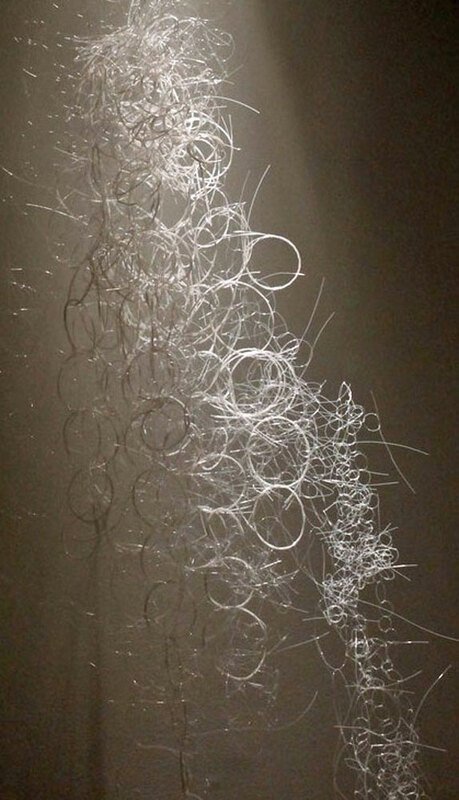 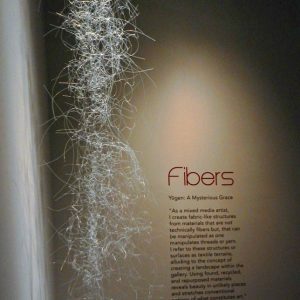 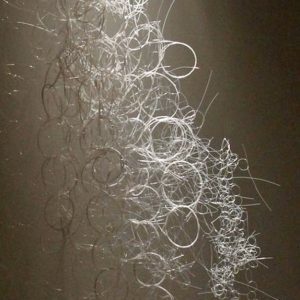 The artist selected several materials used in the making of zippers, purposely choosing supplies that were not easily identifiable and that could be manipulated in fiber processes. 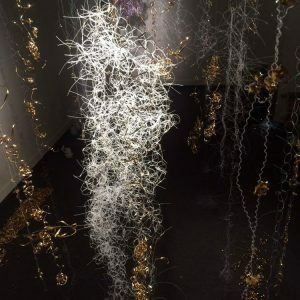 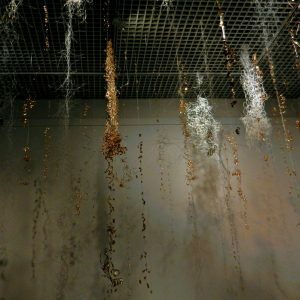 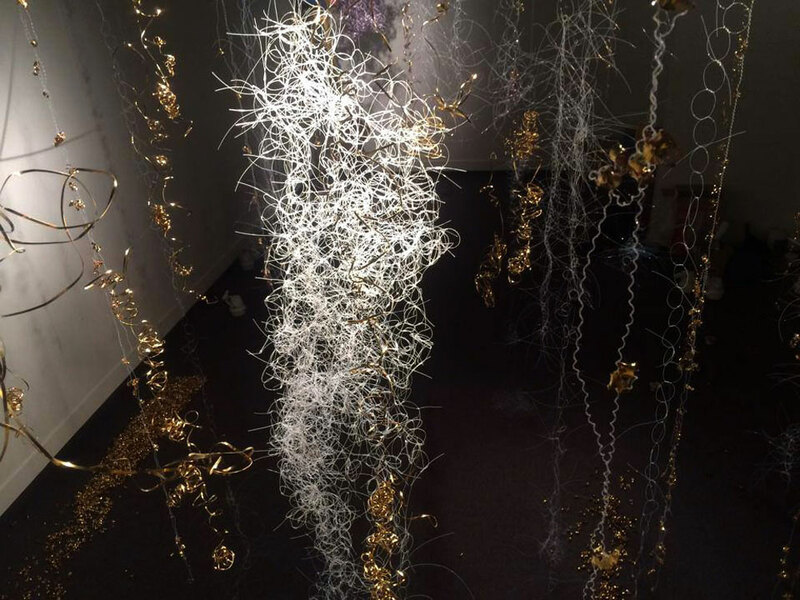 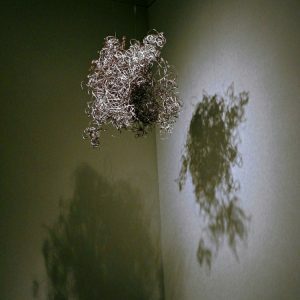 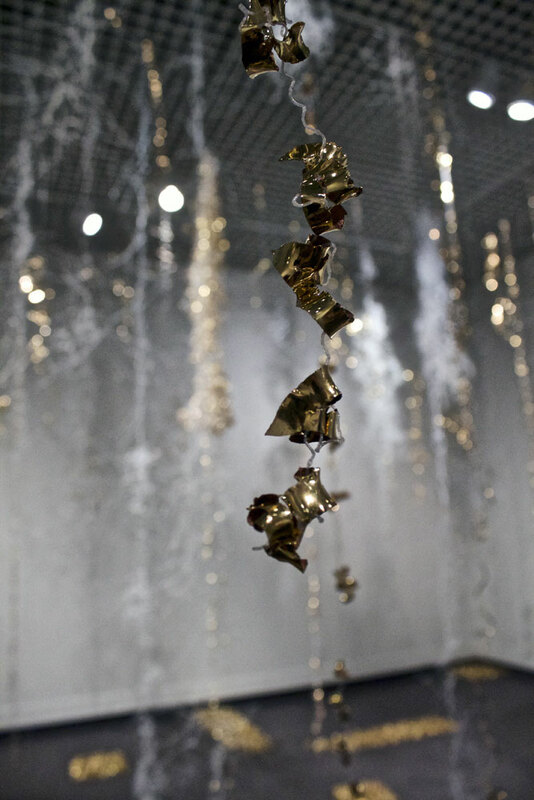 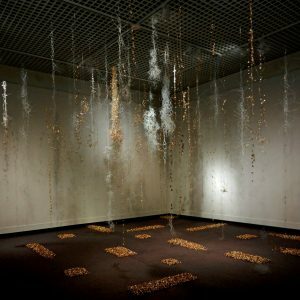 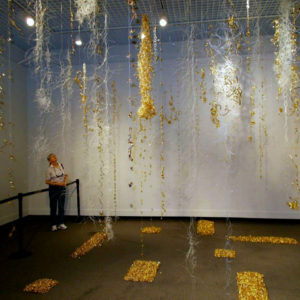 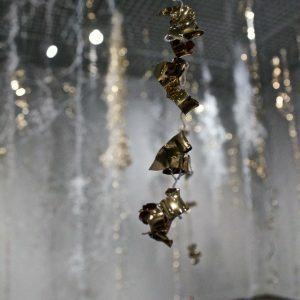 The public was invited to assist the artist in constructing elements that she incorporated into the installation, allowing them to view and experience her improvisational process.